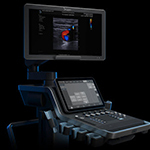 ultrasound platforms, which feature the exclusive UltraFast™ technology. non-invasive characterization of breast, liver, and prostate diseases. during an examination, improving both user comfort and exam efficiency. and avoid patient care disruptions. connectivity options, application development tools, analytics, and AR. solutions that provide high levels of return on investment. has more than 2,000 ultrasound systems installed in over 80 countries. 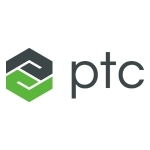 of PTC Inc. or its subsidiaries in the United States and other countries.